"Birmingham [3.65] were as big as 4.00 to overcome Leeds at the weekend as they claimed only a seventh league success as hosts this season (W7-D8-L5)." Birmingham were deducted nine points by the EFL for breaching profitability and sustainability rules in March but ended a five-match losing streak with an unexpected upset victory at home to high-flying Leeds on Saturday. Blues were rated 3/1 shots to seal top honours and did so deservedly at St Andrew's despite enjoying just 27% of possession. Garry Monk's men were second-best in the opening exchanges, but the game turned on a 60-second period before the half-hour mark. Birmingham survived a scare when Leeds hit the post and barely a minute later, Che Adams' crisp strike opened the scoring with his 22nd goal of the season. The Blues hitman had opportunities thereafter to extend the advantage. Monk praised his squad for their excellent defensive efforts, claiming his side were "solid and really well organised" although City were sad to see midfielder Maikel Kieftenbeld suffer a serious and long-term knee ligament injury in the triumph. David Davis is expected to step into the breach for Wednesday night, whilst Jota is pushing for a recall. Sheffield United returned to the automatic promotion places in the Championship following a narrow 1-0 win over Preston on Saturday. 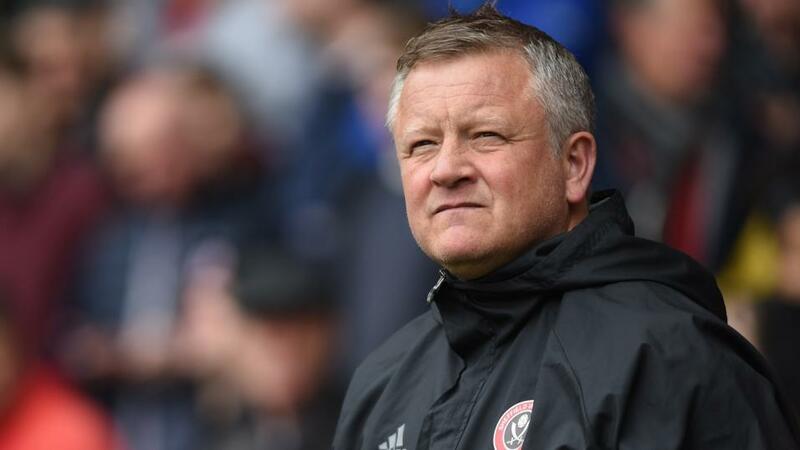 The Blades leapfrogged Leeds to second spot, although manager Chris Wilder was quick to dampen expectations post-match, saying, ""It's a week in football, I've been in it long enough to know it can change really quickly." Preston had started the brighter of the two, but United - returning from their 3-2 defeat against Bristol City - have not lost consecutive league matches since their first two games of the campaign, and dominated proceedings after David McGoldrick broke the deadlock 12 minutes before the interval. Billy Sharp fluffed the Blades' best opening for a second goal. Wilder admitted, "They gave me a few heart attacks (during the game) and probably did the same for the supporters as well." However, he was delighted with his team's character and endeavour at the back as United held on for a eighth clean sheet in their past nine matches. Jack O'Connell is expected to return and striker Gary Madine has completed a suspension. Birmingham have been beaten just once in their last eight encounters against Sheffield United across all competitions since 2001. The Blues boast a W5-D2-L1 record against the Blades in that sequence, as well as picking up victories in each of their most recent four fixtures against United at St Andrew's dating back 20 years. Birmingham [3.65] were as big as 4.00 to overcome Leeds at the weekend as they claimed only a seventh league success as hosts this season (W7-D8-L5). City were previously winless against top-eight opposition (W0-D2-L3) before meeting Leeds with 10 of their overall 13 defeats in 2018/19 arriving against top-half teams (W5-D6-L10). Sheffield United [2.24] have picked up an outstanding W12-D3-L2 since Boxing Day, with the bulk of those positive performances arriving at Bramall Lane. Chris Wilder's charges have pocketed W4-D3-L1 on their travels in that time, although the visitors have taken maximum points away from recent trips to Leeds, Preston and West Brom, highlighting their ability. Goals have been in relatively short supply for both sides in recent weeks, suggesting the [1.76] on Under 2.5 Goals is a runner at St Andrew's. Birmingham have failed to cover the mark in six of their most recent seven outings, whilst Sheffield United have produced low-scoring contests in eight of their last 10 as their watertight defence has come to the fore. However, a more appealing play is to dive into Betfair Sportsbook's Same Game Multi market and support Sheffield United double chance alongside Under 3.5 Goals for a slightly shorter offering of 7/10. Just 29/40 (28%) of the duos respective home/away outings have featured four or more goals this term with the selection keeping onside a range of credible correct scores in the Blades' favour.